OS X systems natively support writing disk images to USB drives, however they often need to be converted to a more Mac friendly format first. Start by converting the image to DMG format. In my case, I'm converting a DBAN ISO, but substitute these values with the file you want to convert. Next, plug in the USB drive and list all the available disks. In my case, my USB drive is /dev/disk3. Now unmount that drive, but leave it plugged into the system. Write the image to disk using the dd command. 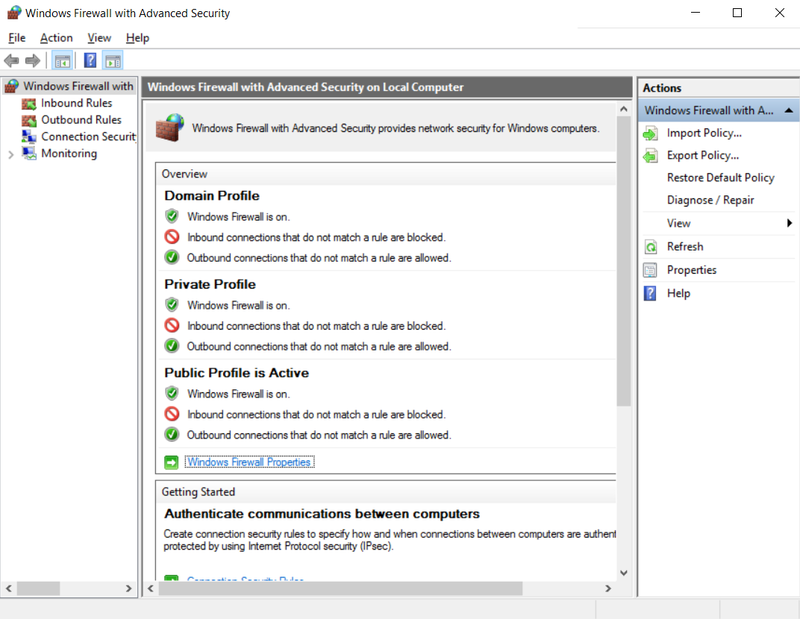 The Windows Firewall uses three different profiles: 1) Domain, 2) Private, and 3) Public. The system will assign a profile based on the network it is connected to. The Domain profile is only used when the computer is a member of a domain and a domain controller can be reached. The Private profile is intended for trusted networks, such as at home or in a work environment where there is not a domain. The Public profile is for use on untrusted networks, such as in public places. Each profile has a slightly different default set of rules and can be customized individually. 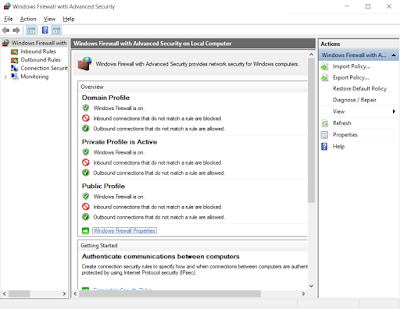 The Windows Firewall with Advanced Security on Local Computer properties window shows the status of each firewall profile and which profile is currently active. To change the network profile, you'll have to run Powershell as administrator. The Windows Firewall with Advanced Security on Local Computer properties window now shows the Private profile as active. When using a Linux shell, often you'll find it useful to write the output of a command to a file instead of to the screen. This could be to edit a configuration file or simply to save the output for later use. There are a couple of ways to do this and each has its use. To redirect output to a file, you can use the carrot (>). Keep in mind, this will overwrite the file if it already exists or create the file if it does not already exist. If you use the carrot (>) again to write something to the same file, the original contents will be overwritten (I know I said this twice, that was deliberate). If you want to keep the contents of an existing file, you can use the double carrot (>>) to append the output at the end of the file. The double carrot (>>) will also create the file if it does not already exist. If you want to write the output of a command to both the screen and to a file, use the tee command. By default tee will overwrite an existing file if it exists and create the file if it does not exist. When using tee, if you want to append to the end of an existing file instead of overwriting it, use the -a flag.